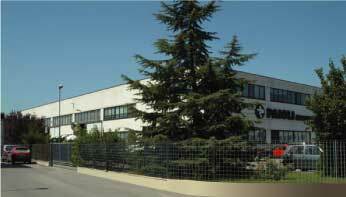 Paioli Meccanica S.p.A. is one of the leading worldwide producers of suspensions for motorcycles. This is proven by the range of items produced in its factories: 181 different models of suspensions to complete the spectrum of the various specializations (2005). Models for Road, Cross Enduro, Trial, Mini Cross, Super Motard motorcycles and Scooters. This is possible thanks to a process where the piece is created starting from the design phase, moving on to its development and the processing of the raw materials to be used, without outsourcing any part of the work. The completeness of this process is an important advantage which translates into extreme elasticity in production, thus offering a degree of service that is second to none. This is an aspect of quality that goes further than the product. It encompasses the entire process, up to and including marketing. ...technology that creates excellent performance!